There was a issue about the B&M Dive Coaster because it was stuck between the barrel roll when it reached the top of the track right pass through the first inversion before touching the second inversion. 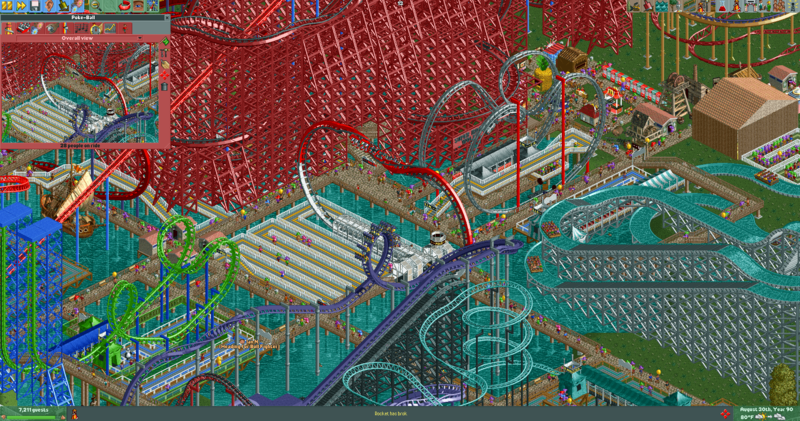 Yeah, there's a bunch of other rides I built. So I didn't crop it. I think you can make it look more like a poke ball.. Isnt one half of a poke ball usually white? IDK what am I doing. The Support is white, but I changed it. Yeah, but in 2012, it is actually Goliath. But yeah, as you can tell the differences between their names.